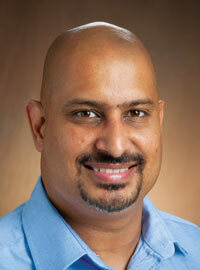 Sharma is an Associate Research Fellow at the Advanced Traffic Analysis Center. His concentration at ATAC is Traffic Operations. He has experience in Traffic Operations Analysis, Corridor Timing Analysis, Crash Analysis, Transportation Network Microsimulation Modeling, Travel Demand Model Applications, Pedestrian Safety Studies, Access Management, Traffic Data Collection and Analysis etc.